There is nothing cuter and sweeter than a new puppy. A sweet little fur ball who will grow up looking up to you being your best friend and giving you unconditional love. Having a puppy can be very rewarding, but it’s not all rainbows and unicorns. Puppies can be a lot of work. A puppy is like a baby and needs constant care and attention. They also are still learning and exploring the world. This means they aren’t trained, they don’t know what is and isn’t safe, and they will like to chew. It’s up to you to keep your puppy safe and to have the patience to treat your new puppy like the sweet fur baby that it is. A dog can be a lot of trouble and a lot of work. A puppy can be even more trouble and more work. As your puppy grows, you will want to train him. Here is a resource for training your puppy trainingmybestfriend.com. Once you’ve chosen the perfect breed, you want to make sure that you have a safe environment for your puppy. Puppy proofing your house means getting rid of anything that can harm your puppy or that your puppy can harm. Having a designated room or crate training your puppy can be a good way to keep your puppy and your belongings safe. One of the most fun things about having a puppy is getting all of the right supplies. Your puppies going to need a bed and things to chew on. You want an appropriate food that he will like and that will supply him with the proper nutrition. Puppies also need toys. Puppies are baby dogs and they like to play. They like to play a lot. You will also need a collar and leash. New puppies are usually too young to walk. You might be better off just letting the puppy run in a fenced area. Like your backyard. Eventually, your puppy or dog will need tags. Educate yourself and your family members about your new puppy. You want to make sure that everyone in the house is aware that a puppy is a baby dog and needs to be treated as such. You also might want to get a calendar and write down important events like when your dog was born and your vaccination schedule. 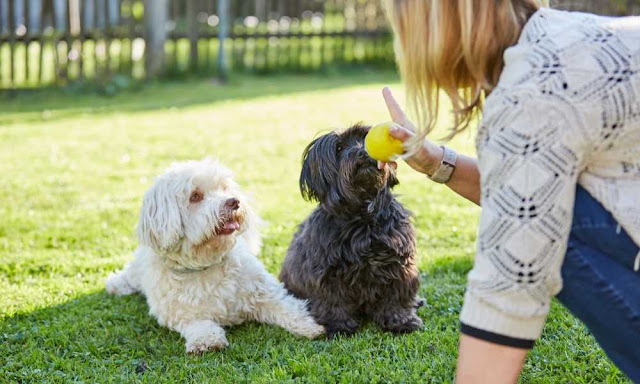 Plan ahead for when you will start training your dog and make plans to go to obedience classes. The more you know, the better job you will do teaching your puppy how to be a responsible and enjoyable dog to have around. At some point, you will probably want to get a carrier for your puppy so that you can safely take it to the vet. You could also use a leash and collar and just carrier puppy if it isn’t least trained yet. There’s a lot to know when it comes to getting a puppy. The most important thing you can do is take the time to think about your puppy’s perspective. This will help you predict certain behaviors and understand why your puppy does what he does.